Moldovan businessman Anatolie Stati will ask bailiffs to sell a $5.2 billion stake in the Kashagan oil field owned by a Kazakh sovereign wealth fund if Astana refuses to pay a $500 million arbitration award, Stati’s spokeswoman said on Tuesday. Asked if the stake in the giant oil field - now frozen by a Dutch court - could be foreclosed, Stati’s spokeswoman said: ”This is the expected course of action. Samruk-Kazyna, the sovereign wealth fund which holds half of Kazakhstan’s 16.88 percent Kashagan stake through a Dutch company, said it was making “all necessary arrangements to protect its interest in accordance with the applicable procedure and will continue to vigorously defend its rights”. Samruk-Kazyna said in a statement the freeze had no effect on the day-to-day management of its stake in Kashagan and payments “save for payment of dividends to Samruk-Kazyna”. Kazakhstan’s sovereign dollar bonds fell across the curve on Tuesday. Stati, his son Gabriel and two family-controlled companies have been involved in legal battles with the Kazakh government of President Nursultan Nazarbayev for several years. They invested in Kazakhstan’s oil and gas industry and have asserted that they were subjected to harassment from the state aimed at forcing them to sell their investments cheaply. They and two of their companies won an arbitration award of around $500 million in Sweden against the government. Kazakhstan denies the allegations, says the arbitration was won through fraud, and has countersued in several countries. Stati’s victories so far are a rare example of Western courts ordering large-scale freezes of sovereign fund assets, and such moves could alarm the managers of other funds in the $7 trillion industry. Stati’s press office said in a statement that he had secured “attachments” of other Kazakh assets, including Kazakhstan’s stake in a Luxembourg-based company, Eurasian Resources Group, and trade receivables due Kazakhstan from some Luxembourg firms. A Swedish court has also frozen shares in 33 Swedish public companies worth about $100 million owned by Kazakhstan, Stati said, adding Swedish bailiffs had already begun a foreclosure process on some shares. 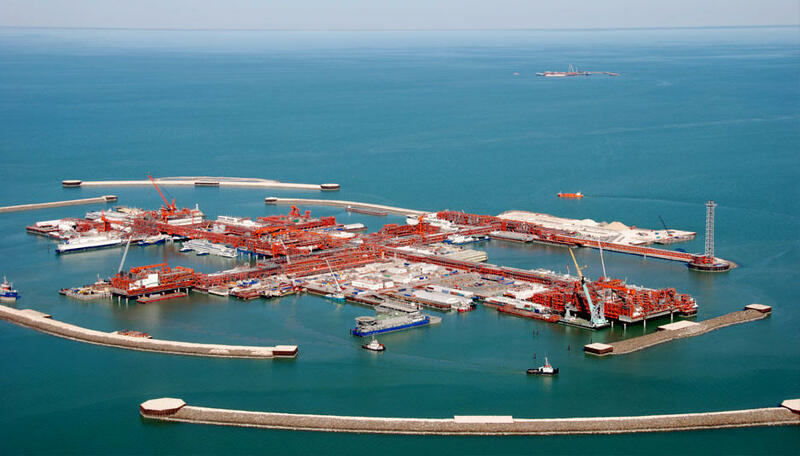 Kashagan, operated by Eni, Total, Shell , ExxonMobil, Kazakh state firm KazMunayGaz , China’s CNPC and Japan’s Inpex, is Kazakhstan’s biggest oil field. Kazakhstan has refused to pay the Swedish arbitration award. In October it filed a civil racketeering lawsuit in the U.S. District Court in Washington, D.C., against the Statis and their two firms. Last October, Bank of New York Mellon froze $22.6 billion in assets held by Kazakhstan’s National Fund, another sovereign wealth fund, following a lawsuit by Stati.